I am the mother, daughter, sister, wife, lover of heroin addicts. This does not make me an expert, just a person with life experience. 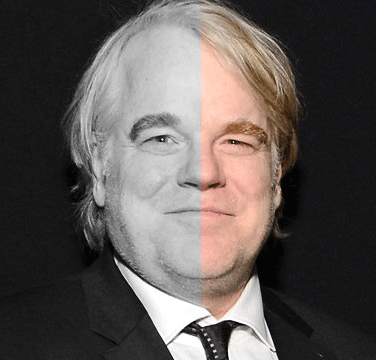 The death of Philip Seymour Hoffman has hit hard. The usual human reaction is to try to determine “why.” If we knew we could avoid it next time. As if there is something over there that we could change, fix or at least manage so as to avoid our own discomfort. As if “they” have something that we do not, and if we figure out exactly what that is, we could irradiate that and feel secure. As a drug addict who, by the grace of some power beyond my knowing, survived thus far, I can tell you that there is nothing different in the heart and soul of an addict. Life is difficult. It is the human condition to take this difficulty personally. We all, to some degree or another, take what is handed to us as punishment for some wrong doing. As children, we internalize everything that occurs in our world and hard-wire the belief that we had something to do with the experience. We then find solutions to the problems with our limited minds. We believe these solutions to be life-saving, because at the time they were. We then generalize both the problem and the solution in our lives. When the pseudo- solution no longer works, we blame the other and dig deeper into our belief that something is wrong out there. We suffer from the frustration and this deep gnawing that something is horribly wrong and if we act just so we will get the response from life that we have been searching for. This negative cycle is what kills off life. In an interview, I heard Phillip Seymour Hoffman talk about the absolute demand for perfection in his craft. He said there is nothing like the feeling of having done his job well, and failure was both constantly imminent and unacceptable. This is the vicious cycle we all, addict or not, want to see in ourselves. This is what kills our creativity, our passion, our joy and sometimes our very selves.